DSRIP (Delivery System Reform Incentive Payment Program) uses federal monies to support programs that improve the health of citizens in our community, and that enhance the health experience and outcomes of individuals. Conditions in the places where people live, learn, work, and play affect a wide range of health risks and outcomes. 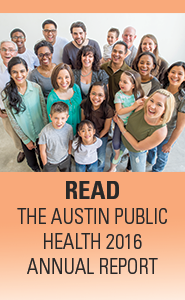 These designated projects address these health risks and outcomes by improving access to health care, increasing the quality of care, and improving the overall health systems in the Austin area. Specific programs target tobacco cessation, STD testing, diabetes management, post-partum care, and immunizations, with the goal of improving the well-being of everyone in our community.